Governor Prof Jagdish Mukhi interacted with the officers from Mizoram Civil Service and talked to them at length on the socio-cultural, political and economic characteristics of the Northeast and urged upon the officers to lend their hands to build a strong administration. 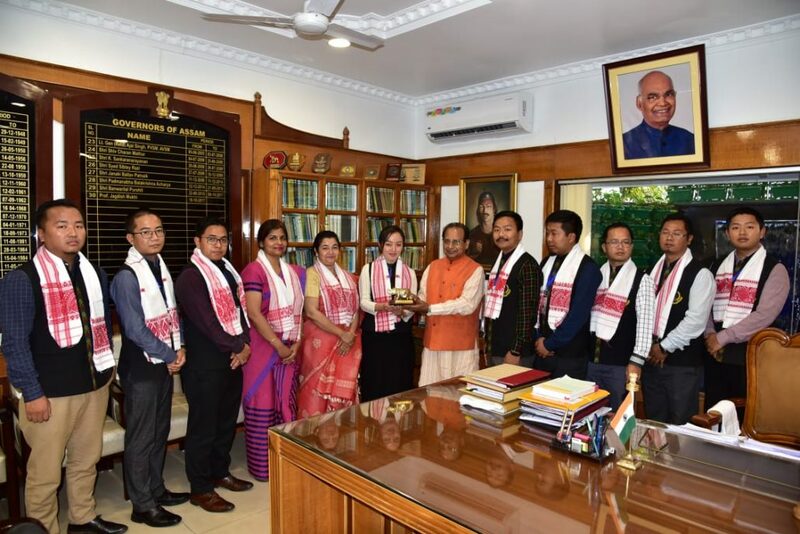 Interacting with the delegation from Mizoram Civil Service of 2018 batch comprising nine officers called on Governor Prof Jagdish Mukhi at Raj Bhavan in Guwahati on Saturday and talked to him on several issues. Prof Mukhi also asked the officers to shoulder responsibility and deliver their best to enable the weaker section of the society to enjoy the fruits of governance. He asked them to put up their humane face to help the common public who come to them for various services. He also wished them all success and advised them to have strong determination, will power, discipline and dedication to reach the zenith of a successful service life. The Governor appreciated the rigorous training and discipline of the officers and asked them to dedicate themselves to propel the development of their State. The Officers on the other hand expressed their gratitude to the Governor for all the facilities given to them during their stay in the State.